Start enjoying a better online experience now with Frontier High-Speed Internet! And that’s not all. You’ll also get 24/7 technical support—all free when you sign up for Frontier broadband in West Haven. And for top-quality Frontier Internet, you don’t even need a phone line. 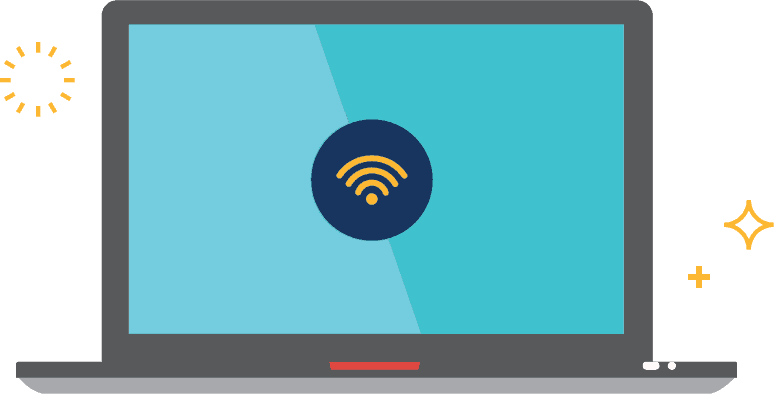 Frontier is a great alternative to Comcast in West Haven, so call now to learn about Frontier’s Internet bundles and how they can help you save! When you get a Frontier Bundle, you get your Frontier Home Phone and Frontier Internet services for the best possible price. Bundling your phone and Internet services with Frontier enables you to save money, while consolidating your phone and Internet bills. Plus, you don’t need to sign an annual contract! To learn more about Frontier deals in West Haven, call today. If you're looking for reliable home phone service, Frontier in West Haven has you covered. It’s no secret that cell phone bills can be astronomically high. Fortunately, with Unlimited Local and Long Distance calling from Frontier Home Phone, you won’t have to worry about going over your minutes. You'll experience consistent, reliable phone service with Frontier Home Phone as well, so you’ll largely be able to avoid dropped calls and spotty reception. Plus, a home phone keeps you connected to family members and the appropriate help in the event of a natural disaster or other emergency, as a landline still works even when the power’s out. I found the installer to be very knowledgeable and neat. He installed the wiring so that it was tacked tight to the house and explained the operations of my wifi and tv very well. I did call for assistance on the my second day of service because one of the TVs would not turn in. I was cut off by the first person I spoke to but once I called back and was placed in touched with someone called Judith, I was help immediately, So far, I would give Frontier 4 stars, only because I was hug up on. Otherwise, I am satisfied with the service provided.